The global growth rate of CO2 has nearly quadrupled since the early 1960s. Planet-warming greenhouse gases surged to new highs as abnormally hot temperatures swept the globe and ice melted at record levels in the Arctic last year due to climate change, a major US report said Wednesday. The annual State of the Climate Report, compiled by more than 450 scientists from over 60 countries, describes worsening climate conditions worldwide in 2017, the same year that US President Donald Trump pulled out of the landmark Paris climate deal. 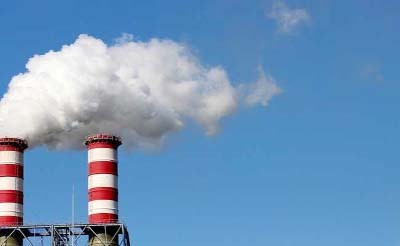 The United States is the world's second leading polluter after China, but has rolled back environmental safeguards under Trump, who has declared climate change a "Chinese hoax" and exited the Paris deal signed by more than 190 nations as a path toward curbing harmful emissions. The 300-page report issued by the American Meteorological Society and the National Oceanic and Atmospheric Administration mentioned the word "abnormal" a dozen times, referring to storms, droughts, scorching temperatures and record low ice cover in the Arctic. Last year, the top three most dangerous greenhouse gases released into Earth's atmosphere-carbon dioxide, methane and nitrous oxide-reached new record highs. The annual global average carbon dioxide concentration at the Earth's surface climbed to 405 parts per million, "the highest in the modern atmospheric measurement record and in ice core records dating back as far as 800,000 years," said the report. "The global growth rate of CO2 has nearly quadrupled since the early 1960s." The record for hottest year in modern times was set in 2016, but 2017 was not far behind, with "much-warmer-than-average conditions" across most of the world, it said. Annual record high temperatures were observed in Argentina, Bulgaria, Spain and Uruguay, while Mexico "broke its annual record for the fourth consecutive year." Smashing more heat records, the highest temperature ever noted -- 110.1 degrees Fahrenheit (43.4 Celsius) -- so far south anywhere in the world was marked January 27 at Puerto Madryn, Argentina. The world's highest temperature ever for May was observed on May 28 in Turbat, western Pakistan, with a high of 128.3 degrees Fahrenheit. "The 10 warmest years on record have all occurred since 1998, with the four warmest years occurring since 2014," said the report. Last year marked either the second or third hottest since the mid 1800s, depending on which data is consulted. In another alarming milestone, 2017 was also "the warmest non-El Nino year in the instrumental record," referring to the absence of the occasional ocean warming trend that pushes temperatures higher than normal. Unprecedented heat enveloped the Arctic, where land surface temperature was 2.9 degrees Fahrenheit (1.6 Celsius) above the 1981-2010 average. Arctic temperatures were the second highest-after 2016 -- since records began in 1900. "Today's abnormally warm Arctic air and sea surface temperatures have not been observed in the last 2,000 years," it said. In March, sea ice extent saw its lowest maximum in the 37-year satellite record. Meanwhile, the Arctic sea ice minimum in September was the eighth lowest on record and covered 25 percent less area than the long-term average. Glaciers across the world shrank for the 38th year in a row. "Cumulatively since 1980, this loss is equivalent to slicing 22 meters off the top of the average glacier." In the Antarctic, sea ice extent remained below average all year, with record lows observed during the first four months.